He is drawn to Agent Orange because he is a father figure…say what?! The MAGA hat makes him feel like Superman…I feel committed and emboldened by my Yankee and NY Giants caps and wear them daily, but they provided no super powers this week…no way in hell that I am wearing a MAGgot hat. Let’s not forget that Kim K’s bipolar partner also said that time does not exist. So if time doesn’t exist then why does making my bed rob 10 minutes from my day every day?! Hello…my name is Toby and I am an addict. Specifically, a clean and neatness addict. Sometimes my addiction can drive me to drink. Everything always has to be in its place. I dust, clean the bathroom and vacuum daily…drawers and closets are the bane of my. In New York City it is a daily struggle which leads me to this post. I just finished making the bed which takes 10 minutes every morning. My husband likes a top sheet which adds to the timeline as he rips it out from its’ meticulous hospital corners nightly, causing a domino affect as the duvet then falls out of line. Basically, I have to make the bed from scratch. I just purchased new sheets because the fitted sheet shrunk which added to the bedding detritus. 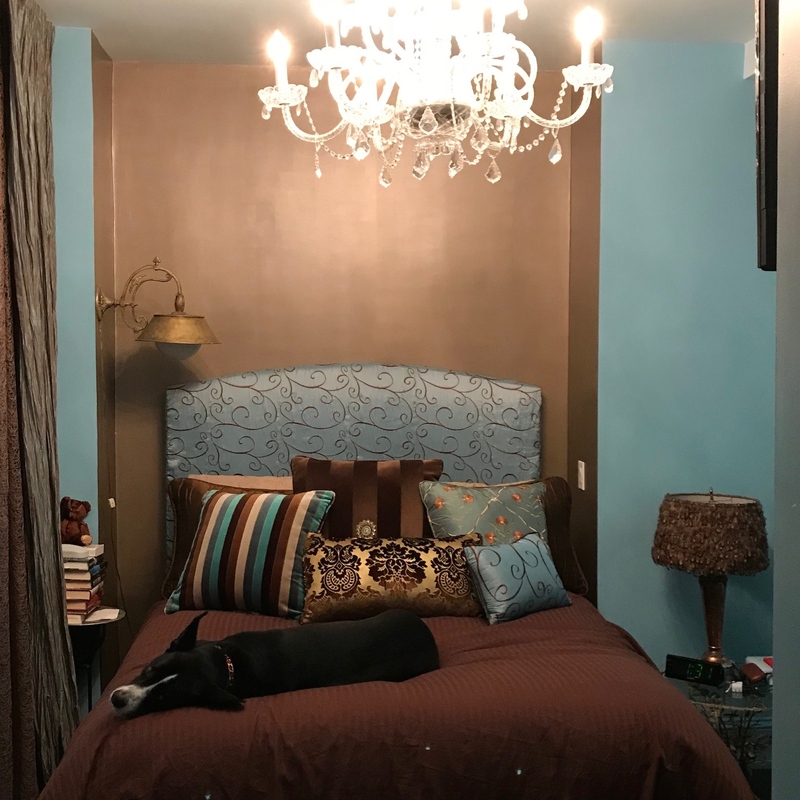 The biggest issue is after the bed is made I have to wrangle the bedspread, pillows, European shams and 6 custom pillows. The final step is the additional bed cover because nothing and I mean nothing keeps FInnley off of her inherited bed. So that is why it is a daily 10 minute exercise. I have searched for a bedding shortcut but the duvet color is very difficult to match which means that I would basically have to redo the entire bedroom. A lovely salesperson at Bloomingale’s is on the lookout for me…she just sent a sample of a perfect match. The Frette duvet is $3000. I would rather take 10 and go to Greece or send more donations to Heidi, Stacy, Beto, Bill, Tammy, Kyrsten, Claire and Jacky then spend it on a coverlet. First World problems, but it still is a drag just like Humpty Trumpty and Yeezy.